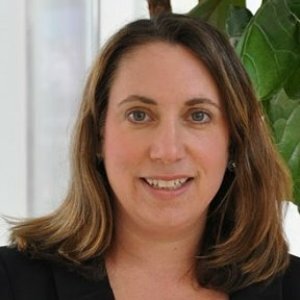 Dr. Samantha Meltzer-Brody, MD, MPH, is an Associate Professor and Director of the UNC Perinatal Psychiatry Program of the UNC Center for Women’s Mood Disorders. Her current clinical and research efforts are focused primarily on Perinatal Depression. She is currently funded by multiple NIH grants to investigate epidemiologic, genetic, and other biomarker models of postpartum depression (PPD) and has recently worked to establish an international postpartum depression genetics consortium (PACT). In addition, she is investigating novel treatment options for depression in perinatal women. Her funded research also investigates the neuroendocrine (oxytocin, HPA stress axis), genetic and other biological markers of perinatal mood disorders in a cohort of women recruited during pregnancy and followed longitudinally in the postpartum period during lactation. Dr. Meltzer-Brody also studies maternal depression in high-risk groups including adolescent mothers, and mothers of children with neurodevelopmental delays. Dr. Meltzer-Brody has participated in a previous AHRQ systematic evidence-based review of perinatal depression. She has published numerous manuscripts in the field of women’s mental health, currently participates in clinical trials research in women’s mood disorders, and serves as the mental health consultant for the North Carolina Women’s Health Report Card. The Triangle Medical Journal recently selected Dr. Meltzer-Brody as one of the “Top 10 Women in Medicine.” She is also the founder of the Taking Care of Our Own Program, a resource for UNC Health Care employees, and the Associate Chair for Faculty Development. At UNC, Dr. Samantha Meltzer-Brody, head of the Perinatal Psychiatry Program, said they see about 3,000 women each year. About 100 of those qualify for in-patient treatment. "We know that one in eight mothers will suffer from some sort of postpartum or pregnancy mood or anxiety symptoms," Meltzer-Brody said. A very small percentage of those become psychotic, and some will go on to harm their child. Meltzer-Brody referenced the 2001 case of Andrea Yates, a Texas mother who drowned her five children in a bathtub. Why? Because "the biggest predictive factor for postpartum depression is a history of depression in general," explained Dr. Samantha Meltzer-Brody, director of the perinatal psychiatry program at the University of North Carolina at Chapel HIll. And the likelihood of all depression increases as income decreases, triggered by the greater instability of an impoverished life. OBJECTIVE: We systematically review evidence on the prevalence and incidence of perinatal depression and compare these rates with those of depression in women at nonchildbearing times.